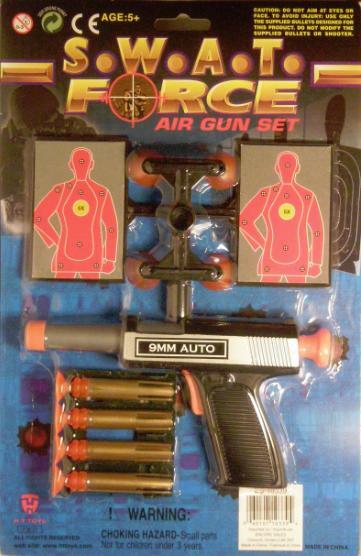 One of the most popular guns is the SWAT Force Dart gun, glorified in one of the first posts ever on this website. 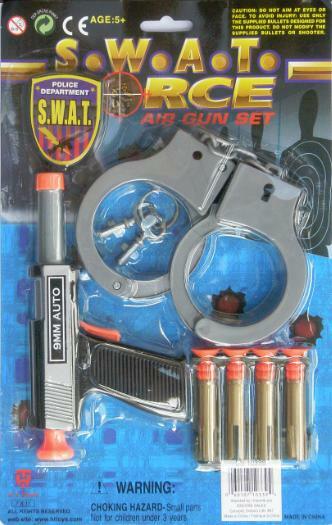 In that post, I mention how that was one of the many different SWAT gun packs available(also the crappiest with the lack of any extras). These other packs became available for purchase at the same place I got the first one. 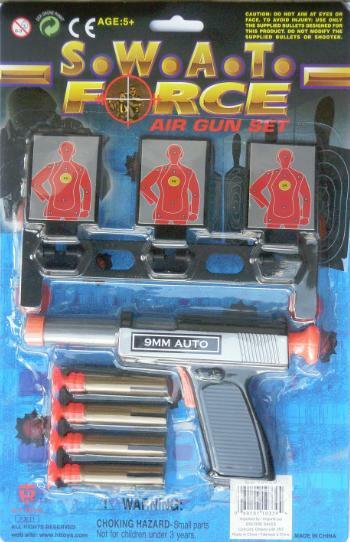 The gun is smaller than the original, so I guess that is why the first one might have come with less, but they both work. Here are some of the other packs available for purchase. 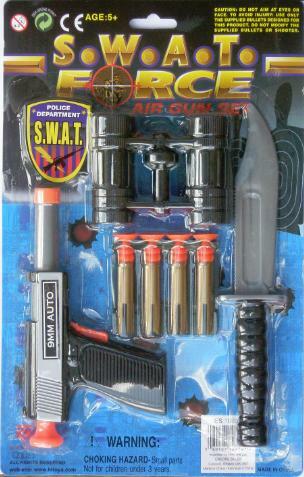 Read the full SWAT Force Dart Gun Pack A review. 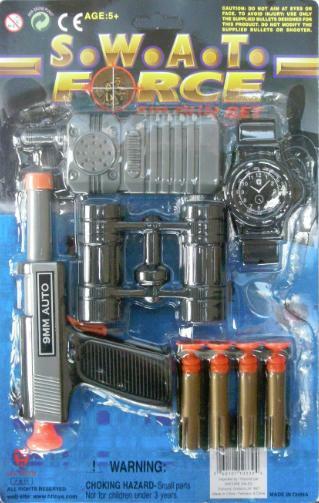 Con: Do the police/SWAT team carry army knives?